Culture Smart! Norway steers you through the social and professional encounters of your visit to this new culture. By deepening your understanding it will enable you to establish real friendships and business partnerships. Tips on meeting and communicating make socializing a pleasant experience, and chapters on the customs and traditions that form the bedrock of family life give a glimpse inside a Norwegian home. 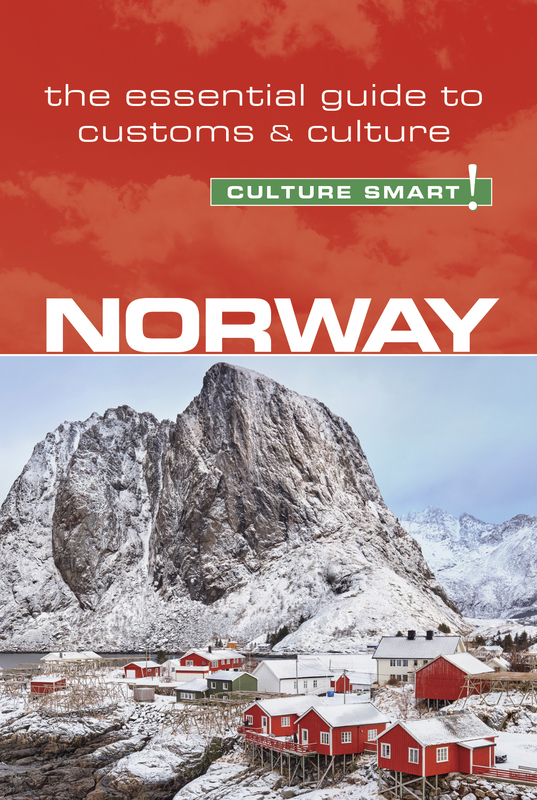 The guide also explains how the Norwegian commercial world operates – vital information for anyone doing business inside one of the world’s wealthiest nations. The country’s majestic landscape changes from the rugged coastline of the Arctic Peninsula, where fjords have carved their way into the rock, to its wild, mountainous backbone, from arctic tundra to the golden sands of its unspoiled southern beaches. This “Land of the Midnight Sun” is blessed with huge reserves of petroleum, natural gas, minerals, timber, seafood, fresh water, and hydropower. There is no real poverty, and the welfare state provides for the basic needs of all its citizens. Norwegians enjoy arguably the best quality of life in the world, but this was not always so. The need to survive in a difficult, isolated terrain and an often harsh climate forged a people who are hardworking and self-sufficient. On first meeting, the Norwegians are serious, polite, law-abiding, and hardy. They are also very private, which can make newcomers feel as if they have come up against a stone wall. Getting to know them takes time, but when you are able to read the signs that take you behind that façade you will meet the friendly, fun-loving, family-oriented people hiding on the other side. In common with their fellow Scandinavians, Norwegians prefer to think before they speak. To an outsider, this can make conversation seem slow and a little stilted. It can be tempting to jump in with a barrage of questions to draw out your Norwegian friend, but try to resist.